This entry is a modified post of an entry from last year. I am grateful every year that I get to continue to take my dad to the Auburn football games. 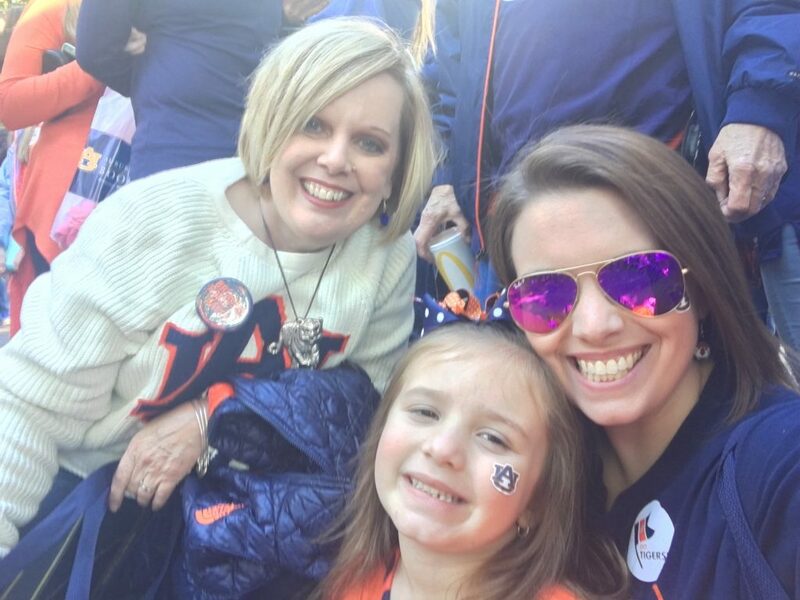 There is no question that SEC football is a way of life in the South, watching football, SEC football in particular, seems to be a way of life for most southern women I know. This is especially for women who have grown up in the state of Alabama. In Alabama, you are born to wear either the colors of Auburn, orange and blue, or the colors of Alabama, red and white. There are no other teams or color choices. Most people in my immediate family were born into the orange and blue side, and fall Saturdays were always spent in stadiums. I learned the cheers at an early age and my grandmother on my dad’s side was a huge fan because her sons went to Auburn. My dad is a former coach. He’s always loved sports, in fact, he played baseball at Auburn University. He spent 30 plus years coaching in public schools in Alabama. My sisters and I were exposed to sports early on, so my love of football comes honestly. I grew up going to the football fields on Friday nights for games and to the gym on Tuesdays and Fridays for basketball games. My dad began his coaching career in 1963, coaching B-Team football and B-Team track at Phillips High School in Birmingham, Alabama. He eventually coached baseball and basketball at Phillips. When I was in second grade, we moved to Opelika, Alabama where he coached basketball, tennis and golf at Opelika High. He got the job as head basketball coach at Minor High School in Birmingham after spending a few years at Opelika. While at Minor he started the Magic City Classic Basketball Tournament with his coaching colleague, Coach Willie Scoggins, at Jess Lanier High. The tournament was held during the Christmas break every year. He also started what he called the ‘Top 20 Ranking of Teams and Players in Basketball’ and was often interviewed by the media about his rankings. My dad had 47 players that went on to play in college. I know that my dad has been a great influence on a number of the players he coached because some have told me over the years. I also remember specifically the love and compassion my dad had for his players, and the help he and my mom gave to some of those players who were in need. I really didn’t realize how big a fan I was of football until I moved out of Alabama to Washington, D.C. 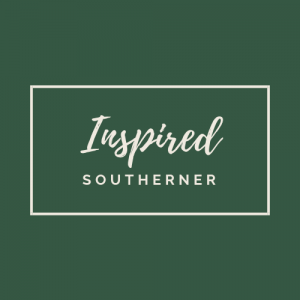 Most people in other parts of the country cannot relate to the fandom of the South, collegiate sports and SEC Football. Pro Football is a mainstay in most parts of the country, and I get how dedicated their fan base is, but for me adjusting and trying to enjoy the game at the pro level was not as easy as I thought it would be. Luckily for me, Washington D.C. had the Metro Auburn Club, so I joined and watched the games with fellow Auburn alums at the Crystal City Sports Pub in Arlington, VA. Just for those few hours I got to spend time with fellow fans who had the same love of Auburn football as I did. It was a welcome venture for one who was trying to adjust to living outside of the Deep South. Once I moved home back to Alabama in 2006 I decided I was going to purchase Auburn season football tickets. 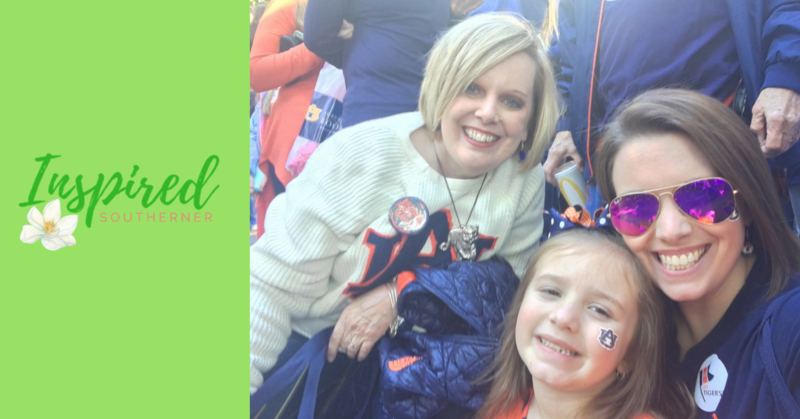 For me purchasing the tickets brought back so many childhood memories: my grandmother’s love of Auburn, my dad coaching high school football and basketball and going to the Auburn games with my dad as a child. When I started buying tickets in 2006 I had not purchased them in many, many years so had to learn the process. The sole purpose of buying season tickets is to take my dad to the games. We go together to most all of the home games which has been our tradition going on 10 years now. Some critics of college sports complain that college sports and football have gone the way of big business, however, I have a different point of view. I have personally lived and witnessed how sports changed the lives of those athletes my dad coached and helped. It means a lot when you care enough for your students to help them grow and prosper. He did and does. My dad impacted and changed lives of many young people throughout his life and years of coaching. Hopefully that is a trait I have inherited. Football is not only a southern tradition, it’s a family tradition a tradition, I get to enjoy every fall with my dad.